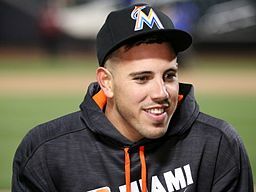 What can collectors and researchers learn from such a shock as the accidental death of pitcher Jose Fernandez? According to the ever-inspiring www.sportscollectors.net, Fernandez had responded to 17 of 67 TTM requests. The last success came in his 2013 rookie season, however. This isn’t a post about stats, mind you. This is a message about the future. Hurry up. Fate won’t wait. Write to those baseball names NOW. 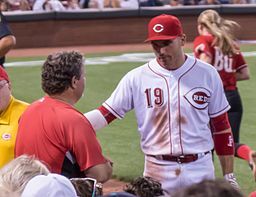 Joey Votto keeps Cincinnati odd-ball autograph tradition alive! For the Cincinnati Reds, an autographed baseball is the equivalent to the “get out of jail free” card in MONOPOLY. Joey Votto’s anger over a fan who outdueled him for a foul ball was rectified by a post-incident autographed baseball. Brandon Phillips used signed-ball diplomacy previously. Votto has used autographs to make a statement before, explaining why he wouldn’t sign for Cubs fans. The inspiring website www.sportscollectors.net notes that collectors through the mail have gotten 365 responses (69 percent success rate overall). However, the last recorded response came in June, 2015. I predict this won’t be the last time the Cincy slugger depends on autographs to gain center stage. It’s the anniversary of ME! I’m back for another year of membership in SCN. Since 2005, I’ve depended on the SportsCollectors.net community of members for news and advice. For the $14.99 I spend yearly on membership, I think I save double that much on postage. Having other by-mail collectors confirm who’s signing (or answering a question or two with a return note or letter) is a huge bonus that saves time and money. Besides, it’s fun. This is a hobby best shared with others. If you’ve never joined, check out the website’s many services at www.sportscollectors.net.